In our financial world we often want clients to determine what are their goals. Many people look at us like we are asking the world of them. How would I know what I want? How would I have time to work that out? Who actually sits down and works out what their goals are? How many of the population have these clearly defined goals and are working on strategies to complete these every day? I don’t really know anyone who is that dedicated. Sure there must be 5% of the population whom are this organised and motivated, but they are not the norm. For most of us life gets in the way, we get caught up in the day to day, we forget what we actually want to achieve long term. You don’t have to be this goal oriented to receive benefits from having goals. Your goal might be to be happy and bring up your children to be healthy and happy. Even to reach this goal you need to take time out to determine that you are definitely moving towards this path. That life isn’t taking you off track. It helps you to focus on what is important and stress less about the unimportant items if you are clear in your mind about what you are working towards. Your relationships will benefit as you are sure of yourself and your direction instead of constantly worrying from week to week. Do you take time to check in with yourself and your family? Are you working against each other? Have your desires gone in different directions? Having the time to make sure you are aligning these goals, and are doing just a little bit each work towards ensuring your end goal is in sight is so important for your overall health. You will feel more centred, motivated and inspired to achieve. The important part for a financial planner is to marry up your finances with your goals, and ensure that financially you are able to achieve what you want to achieve. There are many professionals, including life coach’s, whom can help set you on the path to controlling your life, rather than letting it control you. These goals don’t have to be big, they just have to be important to you so you can celebrate when you tick them off your list. What will all this hard work mean? You will end up being the best person you can be. 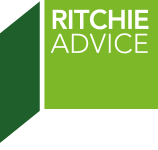 If you would like to take some time out and require some help to set your goals, the staff at Ritchie Advice would be more than happy to help.